​Jermaine Jenas has revealed his support of Arsenal manager Unai Emery, who has come under fire for his decision to continuously omit Mesut Ozil from the team's starting lineup. Ozil has not featured for the Gunners since late December and has started just one of Arsenal's last 11 matches. 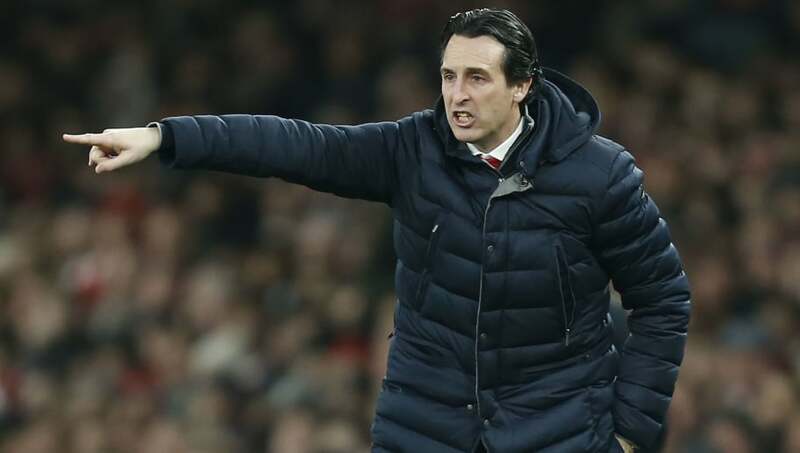 Emery has faced lots of criticism after dropping the Germany international, who is one of the Premier League's highest earners. Speaking to BBC 5 Live Sport, Jenas insisted that ​Arsenal fans should commend Emery's bold decision. He is quoted by the ​Daily Star as saying: “He’s not using ​Mesut Ozil now. Mesut Ozil is one of the most criticised players in the ​Premier League, and probably by their own fans, on the basis that he’s not doing it. "If he’s not playing, he’s not playing for a reason. The manager is seeing him day in day out. He’ll be asking Mesut Ozil to do certain things that Mesut Ozil is not prepared to do. “Now, do Arsenal football club want a manager that is prepared to stamp his authority and say ‘I don’t care what your name is, this is the way we’re all going to play, and you’re all on the same level and for this club to move forward [we will do it that way]'? "How many years have we watched Arsenal sugarcoat Mesut Ozil?" Since joining Arsenal in 2013, Ozil has drawn the frustrations of several fans for his perceived lack of effort. At times, he has been described as a 'luxury player' - someone with immense talent but a diminished work ethic. His status as one of world football's most creative midfielders is widely accepted, and the former ​Real Madrid star has often proved why he is such a valuable asset for both club and country. However, Ozil's role under Emery was immediately brought into question by many as he was fielded out of position by the Spaniard. After starting the season as a winger, Ozil eventually found himself returned to his favoured central role. However, when operating with a traditional attacking midfielder, Emery has instead favoured ​Aaron Ramsey, despite the Welshman's imminent departure from the club.